The Story: A bumbling pig farmer, a feisty salon owner, a sensitive busboy, an expat architect and a disenchanted rich girl converge and collide as thousands of dead pigs float down the river towards a rapidly-modernizing Shanghai. 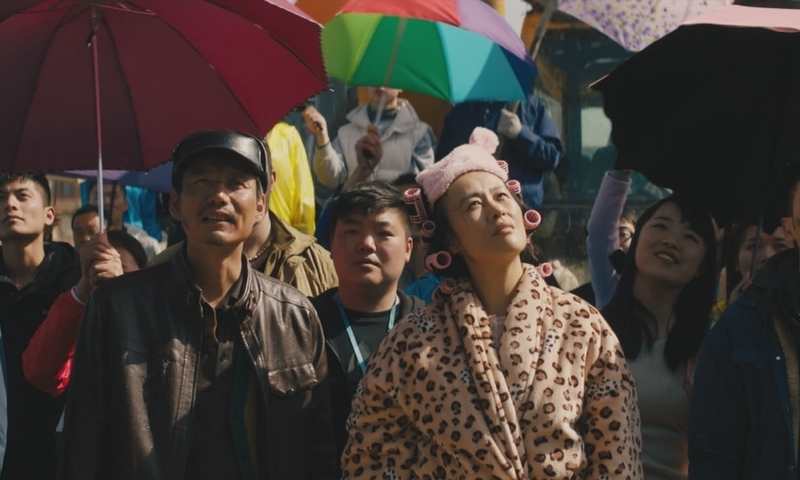 Based loosely on real events, I would describe Cathy Yan's debut feature as a fun, quirky, and colorful comedy that tugs at the heartstrings and tickles the funny bone. With a run time pushing north of two hours, I was afraid a light comedy like this one would get bogged down and eventually succumb to lingering too long, but I never felt like the pacing was off and Yan bounces back and forth between characters and story lines in way that kept me entertained throughout. Her use of colors and comedy are a bit of a throwback to films from the 80's and 90's and she maintains a level of consistency that works all the way through. The cast is absolutely brilliant and they all work perfectly together even though they are rarely on screen at the same time. 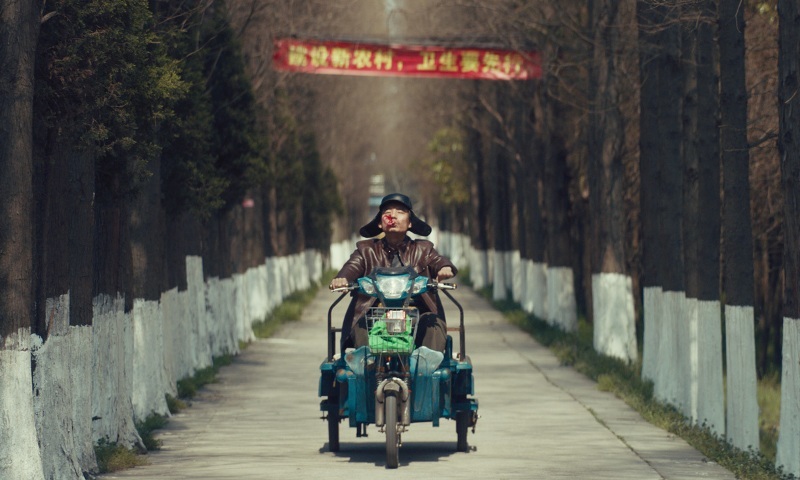 I was most impressed with Yang Haoyu who plays a down on his luck pig farmer who has a bit of Ralph Kramden (The Honeymooners) in him as he's always looking for the next get rich quick scheme but always ends up falling well short of his lofty goals. Mason Lee and Meng Li work really well together as an unlikely pairing and the source of a lot of the film's emotional ups and downs. Also front and center in the story is Vivian Wu who shows another side of her acting abilities with what is easily the flashiest and most eccentric character in the movie. 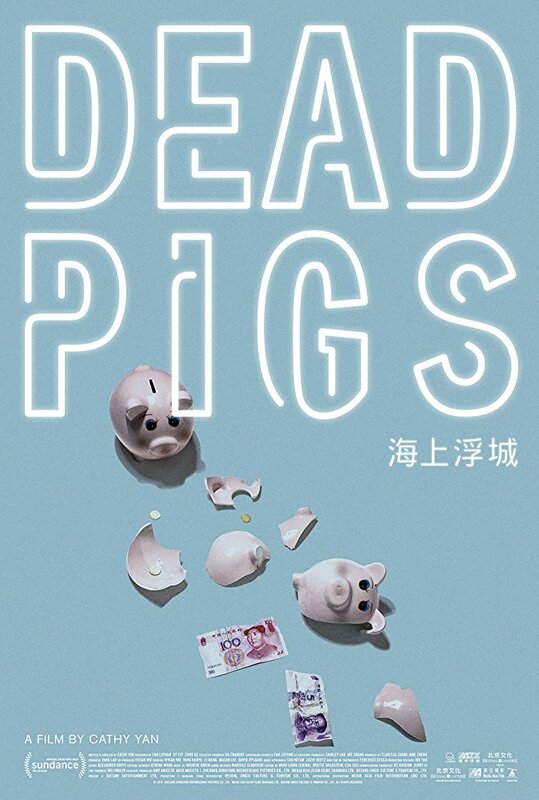 Dead Pigs is a lively film that will have you squealing with laughter and rooting for the quintet of unlikely heroes to save the day. I can see why DC Comics has chosen Cathy Yan to direct the upcoming Birds of Prey movie, her debut feature never falters and entertains from start to finish. Dead Pigs is an official selection of the 2018 Seattle International Film Festival.